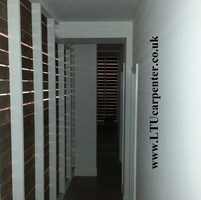 LTU Carpenter - Carpenter based in Ilford, Essex. QUALITY CARPENTRY SERVICES AT AFFORDABLE PRICES! EXPERIENCED CARPENTERS WITH MINIMUM OF 15 YEARS IN UK BUILDING ENVIRONMENT! the process easy and enjoyable for you. We can help you with all phases of Carpentry.